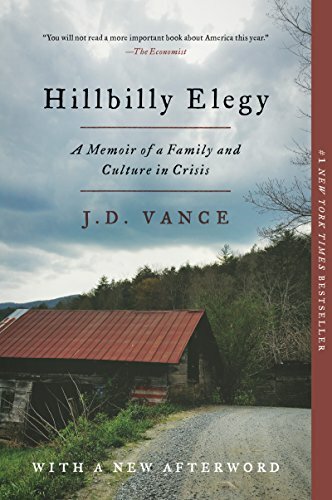 Summary: Hillbilly Elegy is a passionate and personal analysis of a culture in crisis—that of white working-class Americans. The disintegration of this group, a process that has been slowly occurring now for more than forty years, has been reported with growing frequency and alarm, but has never before been written about as searingly from the inside. J. D. Vance tells the true story of what a social, regional, and class decline feels like when you were born with it hung around your neck.